Our class took a trip to the Holy Land to study the country, its people and the status of the 'conflict'. One of the most important days of our expedition was our trip to Hebron. We left Jaffa at 7am and drove through Bethlehem, a city located in the central West Bank. We passed the Separation Barrier, a formidable 25 foot wall, or as many Israelis refer to it, the "security fence." It was quite amazing. 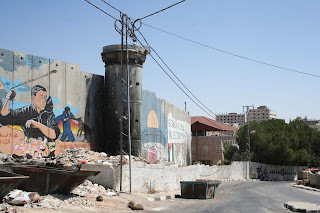 Almost the entire surface in the area we saw was covered by graphic art and political statements such as "Free Palestine" and "Decolonize This Place." This was a manifestation of the frustrations of living under Israeli occupation. These works of art were a testament to the courage of local Palestinians. As we passed in the bus, the class wondered if the wall would ever fall. It looked so permanent. It wasn't long before the city of Hebron began to appear around us. Hebron is divided into two sections: H1 is controlled by Palestinian authority (80% of the city) and H2 is under Israeli occupation (20% of the city). Immediately after we stopped our bus in the city, groups of young children swarmed the bus and haggled us to buy their goods as we stepped onto the street. The persistence of the children was not surprising since Hebron is a city, like many other Palestinian cities, that suffers from terrible poverty. We were soon greeted by our incredibly charismatic and clever Palestinian guide, Mohammed. A native of Hebron, Mohammed began by explaining the details of the Israeli occupation in the city. We then set off for a walking tour through H1, the Palestinian-controlled section of Hebron. Mohammed led us through winding paths of markets as he discussed the many issues faced by Palestinians in Hebron, such as poverty, police brutality, insufficient infrastructure, and so forth. 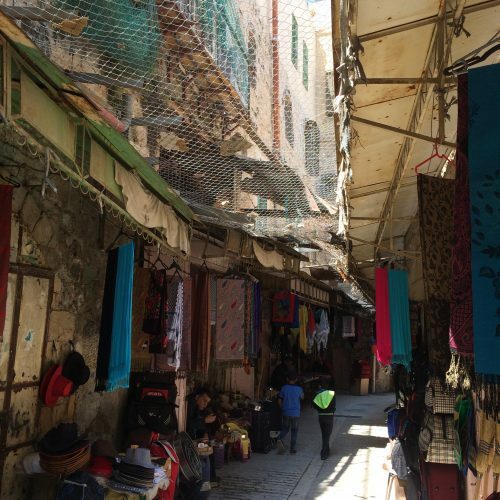 We noticed wire cages covering the markets above our heads, and one Palestinian seller explained how the cage protects Palestinians from debris thrown down by Israelis living above. Afterwards we passed through a checkpoint in order to get into H2 (the section under Israeli authority). There we visited the Cave of the Patriarchs, a holy site for Jews, Muslims, and Christians. In the synagogue of the site, we met a young Jew originally from Brooklyn who explained to us the significance of the site in Judaism. Among those believed to be buried in the Cave of the Patriarchs are Isaac and Rebecca, Abraham and Sarah, and Jacob and Leah, the Patriarchs and Matriarchs of the Jews. The Cave of the Patriarchs is also known by Muslims as the Ibrahimi Mosque, and later on the class returned to the site to visit the mosque. We left the cave to join Mohammed for lunch in his home. We ate rice, yogurt, meat, and vegetables and passed around Mohammed's Palestinian ID card. He explained how Palestinians who were considered to be trouble-makers were issued a green identification card as opposed to the normal orange cards held by most in the West Bank. Mohammed was once considered one of the trouble-makers by Israeli forces, and so he actually had a green ID card himself. Today, however, all Palestinian identification cards are green. We finished lunch and thanked Mohammed for his wonderful hospitality. It was truly a privilege to be able to spend time with someone who has a firsthand experience living in the current conditions of Hebron. 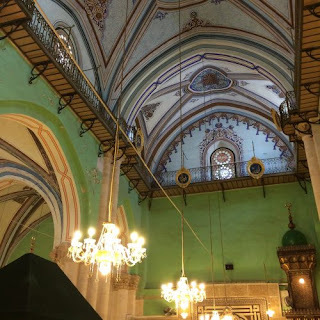 We returned back to the Cave of the Patriarchs to see the Ibrahimi Mosque. It was a beautiful mosque with tones of green and gold, although it was not void of a dark past; the mosque was the site of a horrifying terrorist attack on Muslim worshippers in 1994 which left many dead and even more wounded. Since then, the site has been heavily guarded and is equipped with many security cameras. 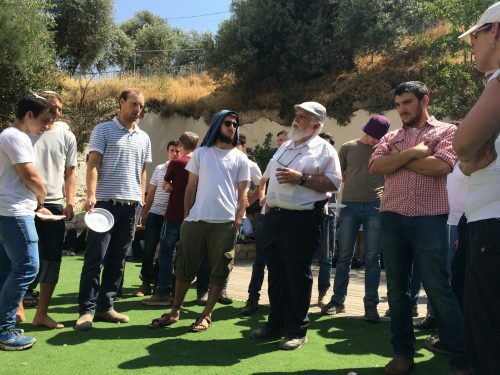 The class then left the mosque and wandered down toward the ghost town section of Hebron. 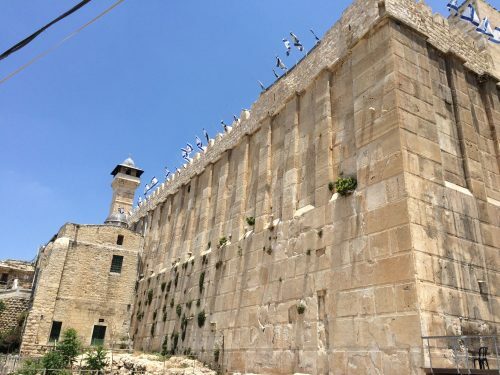 Due to the fact that many Israeli Jews have settled in parts of Hebron, Israeli forces have closed off a section of the city to Palestinians in fear that they will hurt the settler Jews nearby. Streets that were once bustling with Arab markets are now completely abandoned and covered in propaganda against Palestinians. Tourists and Israeli Jews are currently the only people allowed to walk these streets. According to Israeli forces, streets of these closed-off areas are "sterile streets": sterile, that is, of Arabs. Walking further down the empty part of the city, we came across a group of young male settler Jews who we asked to answer some of our questions. One guy in particular stepped up to talk with us; most others seemed more shy. He told us how he did his military service in Hebron, and how he experienced violence from Palestinians against him and his fellow soldiers. When asked about his views of Palestinians, he said that he had spoken to some and that he would probably live among them if they were not so violent. The class also asked him if he supported Donald Trump, to which he said yes and explained how Trump was a straightforward man who loves Israel. As we asked further questions pertaining to the Israeli-Palestinian conflict, a crowd began to form around us and the discussion became more and more heated. It was really a fascinating experience to be able to get down to the tough questions and have a discussion with those involved in the issue of interest. We all felt like real journalists. The discussion ended and we continued through a military checkpoint, back into an area managed by the Palestinian Authority. As we entered the area, there was a striking difference from the Israeli controlled sector. There were many people on the streets and there was a hustle and bustle in the air. Then we were back on our bus and heading out of the city, trying to process the truly bizarre situation in Hebron. It was a privilege to have met the people and heard the narratives of both sides. In May, 2017, Tanner McCaskie participated in a study tour of Israel organised by Green Olive Tours for St. Lawrence University. 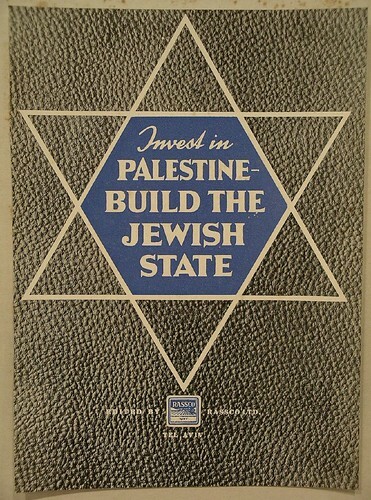 Amazing how the Jews could be considered occupiers since the country was originally theirs. 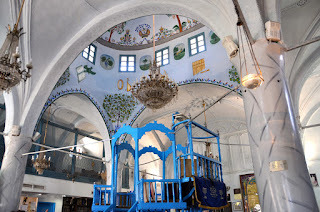 All of the Jews who live in Hebron are recent immigrants, or the children of recent immigrants. My family immigrated from Europe about 200 years ago, but we don't claim ownership of Hebron. If you are referring to the ancient Hebrews. there were many people here before them, and many came after them. I had considered taking one of your tours but I can see how one sided this tour would be. Yes, we side with democratic values and human rights. However even if you disagree with our bias, you can certainly learn a lot from our tours.